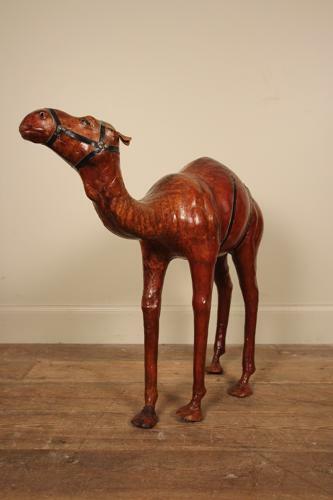 An early 20th century leather camel beleived to have been retailed by Liberty of London. Firm standing with wonderful colour and patina throughout. It is understood that these were marketed by the store to be used in childrens nurseries. Wonderful original condition throughout.